If you attentively look around in the street and underground you will notice that every autumn music fans start putting their monitor headphones on when the heat is over. These people are many and they genuinely enjoy big (and at times very big) headphones despite all associated inconvenience. To remain impartial I have to confess that I do not share this passion and prefer traditional earbuds when on the go. In other circumstances monitor headphones are cool to use especially when surrounded by noise, smoke and alcohol breath. 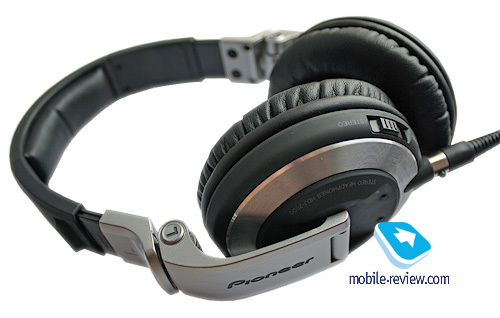 Not to confuse the readers I will say that this review is an attempt to assess professional DJ headphones Pioneer HDJ-2000 as a multipurpose device – work tool and entertainment gadget. Entertainment here is the use at home and in the street, while work is the domain of DJs and sound processing. While traditional monsters of studio headphones - Sennheiser, AKG, Beyerdynamic and others made their professional models look like consumer electronics items without much regard to bright design the manufacturers targeting DJs and dance music fans have an opportunity to experiment. The most notorious are Technics (one of Matsushita brands together with the more famous Panasonic) and Sony. They offered two iconic models in RPDJ-1210 and MDR-700 respectively. Both models featured in an array of music videos and are still revered on a global stage. These manufacturers were the first to tell young people through advertisements and product placement that monitor headphones can be portable. Maybe they were not the first, but only Technics and Sony had resources to promote the idea. They were helped by the freedom of choice in design as both companies did not have extensive lineups and millions of 40 something fans of "warm tube sound" and could go for radical solutions. The main feature was silver plastic. Those who remember the industrial design of 1990s (take for example mobile phones and household appliances) should know when the classical black was supplanted by silver virtually overnight. Only several years afterwards tired of silver people could again return to austere black accompanied by experiments with emerald, champagne and gold. You name it. When its main headphones model was launched Technics was already an iconic brand for the clubs as they all had their players. Those who wanted to emulate their favorite DJs were buying the headphones as well. Sony had good design and the strong brand. We should pay tribute to Sony – it made a soft looking, loud and stylish product. Many DJs liked them a lot and this was followed by the mass market. Nevertheless, the flexible articulated design was a mistake and the model literally fell apart in hands after intensive use. Here I have to mention that DJ headphones are not made for home and have to possess two opposite parameters: flexibility and durability. At work DJs put headphones on and off dozens of times every hour, pressing it to ears and bending wires. 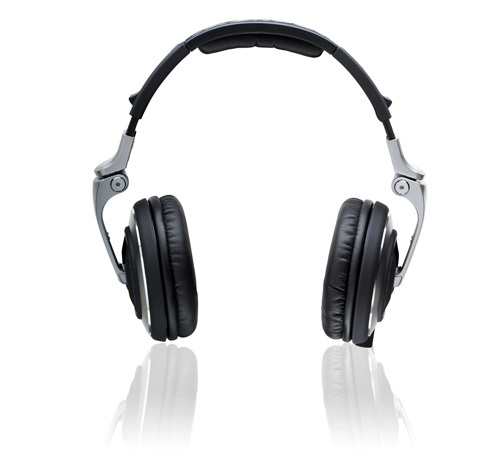 They often listen to the headphones with one ear, while the second controls the acoustic system. Two abovementioned iconic models met the necessary requirements, but the version from Technics was more durable and could last two years instead of one. The preface explains why Pioneer did not rush into this highly competitive market and planned to go slowly down the hill. The company has been present on the club scene for about 20 years and now when vinyl discs are quite a rarity it became the undisputed leader offering cutting edge multimedia players (we will speak about them one day) and mixing desks. 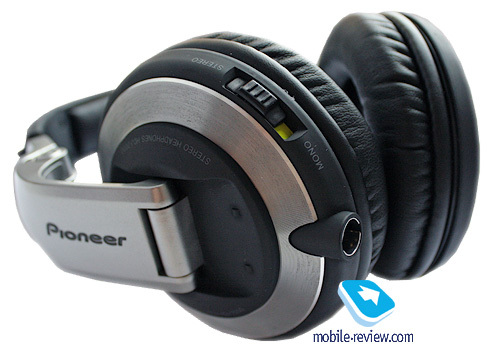 Pioneer made headphones too, but they never provided exceptional quality. It seems that all these years the manufacturer gathered information and waited for the right moment to launch the ultimate model. The situation could have been different and these are my own ideas. 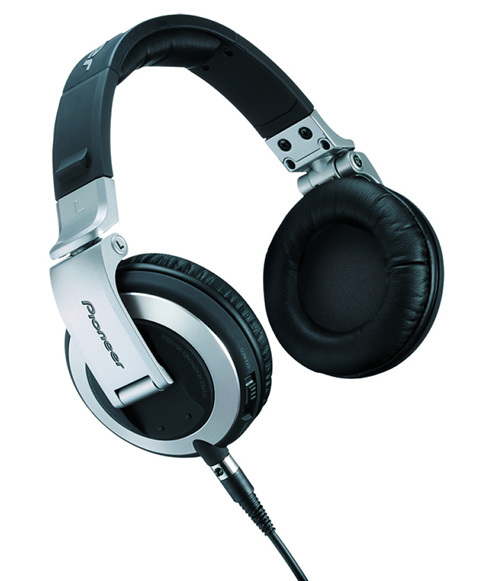 One way or another, but the new series of "revolutionary" products features HDJ-2000. Pioneer highlights materials here. The design heavily features metal or some kind of an alloy similar to liquid metal in mobile phones. Components feel smooth, heavy and reliable. I still do not advise to let the headphones fall on to the hard surface as you can break any gadget. In professional terms metal gives more durability to articulation joints. 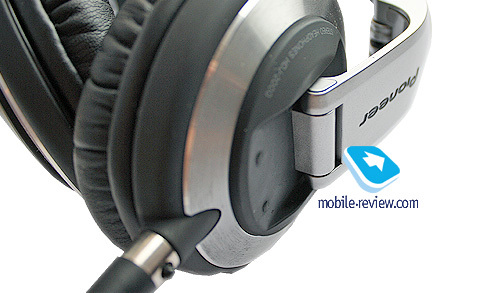 This traditional weak point needs reinforcement to get really long lasting headphones, especially if you know where to buy inexpensive earpads, which wear out regardless of design and price. 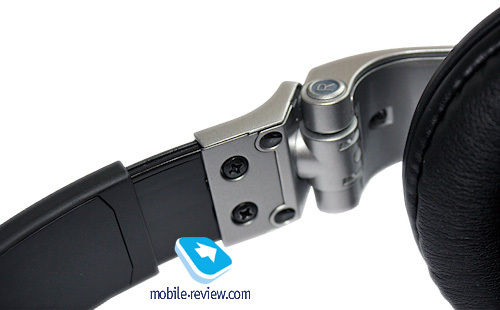 The headband has thick and durable rubber with the metal plate inside. It's a pity that the Pioneer logo on the inside is made of plastic instead of metal. It could have been a smart move! All professional headphones can be folded for transportation. Pioneer HDJ-2000 is not lagging behind in this respect. Moreover, when opened the joints produce such an interesting click that you feel like doing it again. There is some connection with Nokia 8000 series. The build is tight and you can literally see screw heads. Probably engineers demonstrate the reliability of their device this way. We mentioned several years ago that the combination of black and silver is a winning one. The model looks fresh, modern and trendy. Importantly the headband is tight and fits the head well. A person with this model on does not look like an alien with antennas and the convenience of use was boosted. The cable is curiously designed. First of all, it is curled in a spiral not to mess around near the mixing desk and still offer the freedom of movements. Secondly, it should be replaceable and connects to the headphones via a proprietary jack resembling a 3 times downsized XLR. It is nice that the ergonomics is paid so much attention to, which allows for active use. For example, where earcups touch connections we have rubber bubbles to protect from premature wearing off. Headband adjustment is deliberately tight for users to choose the right length once and for all. Earcups can be easily turned straight to the headband. This way you can put it in a container like a laptop box. I tried it myself and it is very handy in travels. 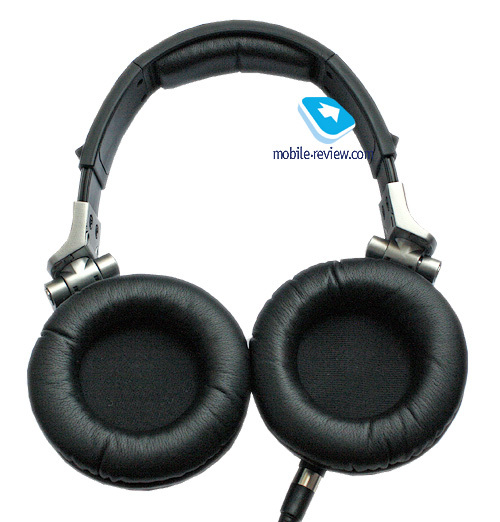 Headphones fit tightly, but it does not disturb or irritate the head. The design targets multi hour use, so the comfort is in the spotlight as well. Earpads are large enough and fully cover an average sized ear. Surprisingly, I cannot find fault with this model. The only complaint is a concentric cut on a metal decorative element on the outside of earcups – wet hands always leave traces there. That's it. You can be amazed that I could not find serious drawbacks. 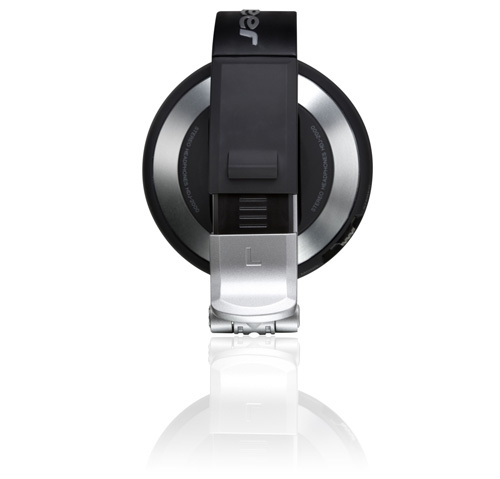 To my mind the headphones for $370 should be close to the ideal. Don't be in a hurry! After all I have to discuss the sound! DJ models usually target low frequencies coupled with the volume. 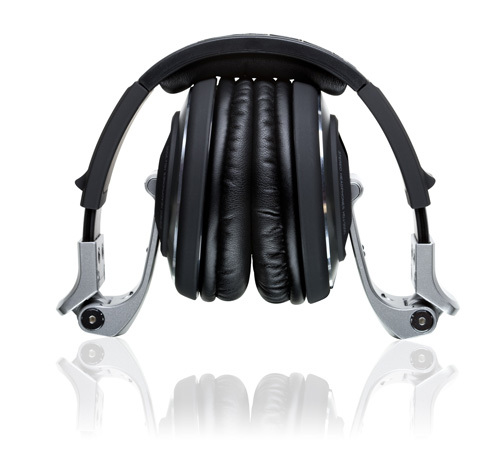 Add shielding from external sounds and noise insulation to ensure that you synchronize tracks correctly. Volume should always be enough to increase it whenever necessary. It does not mean that all DJs always use the maximum level, but such an opportunity is important for comfortable work. Usually manufacturers concentrate on one area and you end up with excessively loud headphones or the model with good insulation. It is a matter of personal taste and all models provide decent characteristics in bоth areas. HDJ-2000 has a genuinely classical sound. 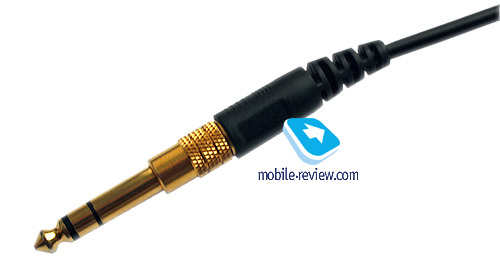 It features enough of bass and can work on high volume levels unlike its consumer counterparts. If to use HDJ-2000 in movement you will need a powerful player. I tested HDJ-2000 on Cowon D2 and iPhone 3G. I also used HP EliteBook 8730W and BOSE Companion 5 with the dedicated output line. The professional side was represented by mixing desks Allen&Heath and Pioneer. The model is quite responsive and even iPhone can reach the necessary volume level. Big systems can provide breathtaking volume if you really need it. The sound is surprisingly sharp and you can differentiate any element of the track. Some of them even start sounding differently when you hear what was lost before. The sound of HDJ-2000 is level headed apart from the slightly boosted bass. This model is ideal to work with computer sound: mixing, cutting and connecting audio tracks. Music playback requires good studio monitors though. If you are tired of music it can be used as an element of a home cinema. 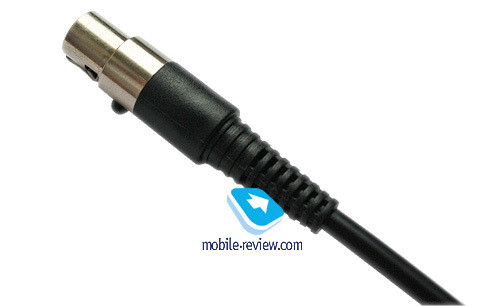 As a mobile device HDJ-2000 is also good and can be deployed together with a player. The most important is to choose a powerful model and keep it charged. I should also mention the style as HDJ-2000 caters for electronic and dance music. Do not expect any "warm tube sound" (с). Latest releases of Toolroom or Cadenza sound to their advantage! 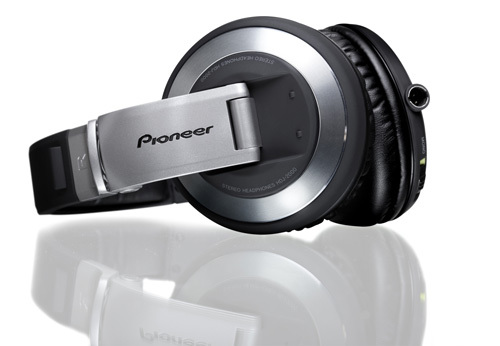 My initial intention was to find rival models for HDJ-2000, but I have to confess that Pioneer managed to come up with the universal headphones. DJs will value flexibility, durability and volume, while fans of portable music devices will benefit from sensitivity, good fit and convenience of use and vice versa. Looking to buy this model one should bear in mind that this is a professional model and it is priced accordingly. That is why you should decide beforehand how high your requirements to the headphones are and if you really need such a serious device. To my mind, if you want to buy a long lasting model for clubs, computers and travels then HDJ-2000 is one of the rare models worth attention.